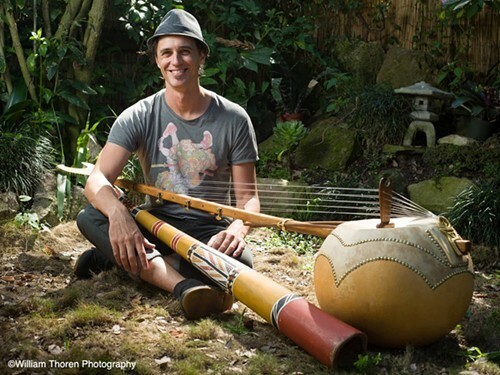 Now, this definitely looks like a break from the usual: a weekend of workshops and performances at MaMA next month by New Zealand’s Jeremy Cloake using traditional handmade aboriginal instruments. Cloake, a musician, composer, master instrument maker, and teacher, will perform with world music ensemble Levanta and share his deep knowledge of such instruments as the yidaki (didgeridoo), the kamale n’goni (West African 10-string harp), and the taonga puoro or “singing treasures” (the traditional instrument of the Maori people). Several of which will be for sale during the event. Jeremy Cloake will lead workshops and perform at MaMA (Marbletown Multi-Arts) in Stone Ridge, New York, from February 24 through February 26. For a schedule of the events, ticket prices, and other information, call (845) 687-6090 or visit http://www.cometomama.org/.